Boston, MA (Apr. 3, 2019) – What might a future world look like where all transportation is via autonomous vehicles? Although we might be decades away from this vision, there are useful insights to be gained for today’s strategies in thinking through the possibilities. While I don’t personally own a crystal ball, this blog floats some ideas regarding what the future may hold. 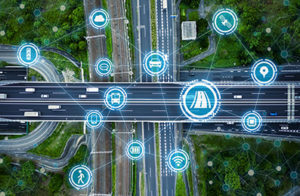 In the meantime, SMA’s latest research report, Connected Vehicles and Insurance: Ten Strategic Considerations, provides some practical advice for insurance strategists today by identifying the potential value levers in the evolving connected vehicle area and exploring ten strategic questions. Vehicle ownership by individuals will be so rare that people will need to visit theme parks for the “experience” of driving a car. People will be able to summon autonomous vehicles on demand for travel anywhere on the planet. Travel times will be significantly reduced as speed limits increase and high-speed transportation dominates. Very high-speed travel will be common via Hyperloop, supersonic aircraft, or high-speed rail. The physical infrastructure for travel will be substantially different: no signage, no traffic controls, and no fuel stations. And the whole system of roadways will be transformed, with no need for median strips, lane markers, etc. All land-based vehicles will be powered by electricity and recharged directly from the road surface. Vehicles of all types will be real-time, information-rich machines with augmented reality, virtual reality, and instant access to information/entertainment content. The variety of vehicles for transporting both people and goods will be astonishing, ranging from individual travel pods to gigantic vehicles transporting thousands of people at a time. Also not to be forgotten is the complete reshaping of the industries that build vehicles, sell and service them, and, of course, insure them. The journey to this future (or something like it) is highly uncertain in terms of timing and eventual outcomes; however, there is little debate that we are in the beginning stages of monumental transformation. And the implications for the insurance industry couldn’t be greater. 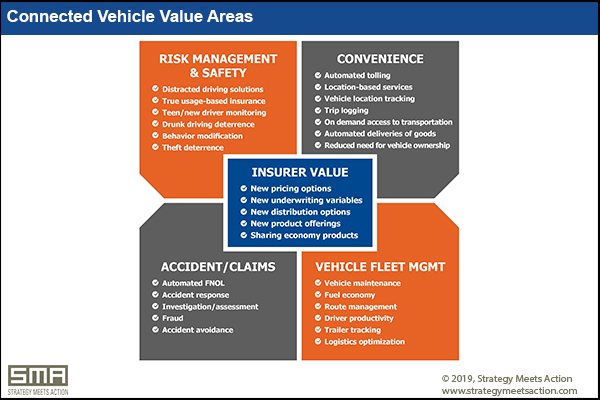 With that in mind, we have produced a more pragmatic research report aimed at identifying ten considerations for insurance strategists that can be used to inform current strategies and used over time to gauge the speed and direction of transformation in the transportation world. Be sure to read Connected Vehicles and Insurance: Ten Strategic Considerations for some down-to-earth inspiration.